MeM#7 —33) Inward <The Same Small Spot> (Tara Knight & Rebecca Salzer. Estados Unidos.) 4:30 min. from Movimiento en Movimiento on Vimeo. Layers of reflection, intimacy, and presence peel away in a moment of vulnerability and confession. This is Ms. Knight’s and Ms. Salzer’s fourth collaborative film. Among the honors awarded to the directors are the Van Gogh Award at the Amsterdam Film Festival, and The Golden Spire at the San Francisco International Film Festival. Previous films have been featured at numerous national and international venues, including South by Southwest, The Mori Art Museum in Tokyo, The International Festival of Screendance, VideoDanza Buenos Aires, the Athens Video Dance Project, and on PBS-affiliate television stations. Rebecca Salzer is a dancer, choreographer, and multi-disciplinary art-maker. Her choreography has been seen at Links Hall Chicago, Highways Performance Space and Gallery in Los Angeles, and The La Jolla Playhouse. Her award winning films and videos continue to be programmed in national and international venues. Rebecca Salzer Dance Theatre produced live work and films in San Francisco from 1992 to 2006. Rebecca is a Jacob K. Javits Fellow. She holds a B.A. in Humanities from Yale University and an M.F.A. in Dance Theatre from the University of California, San Diego. In 2014, she joined the University of Alabama faculty as Assistant Professor of Dance. 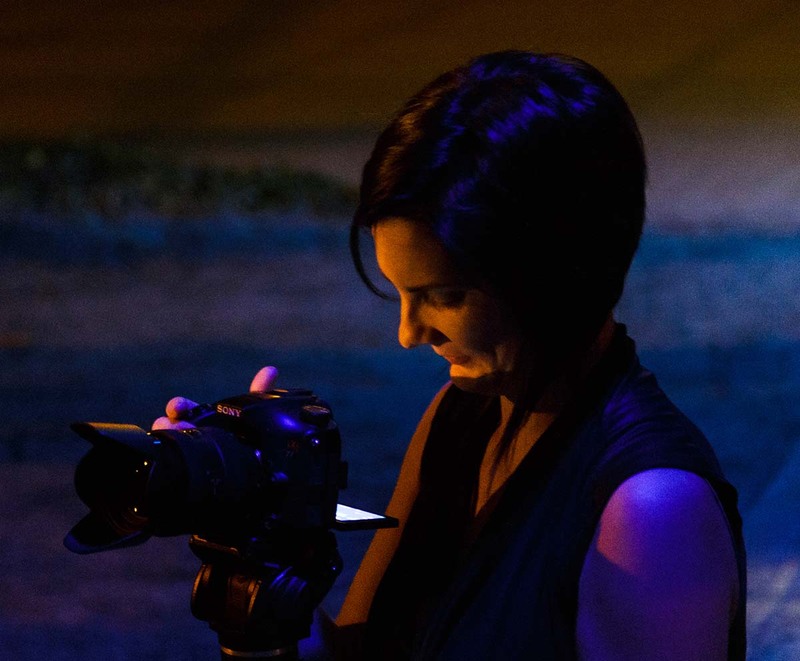 Tara Knight is a filmmaker, animator, and media designer for live performance. Her broad range of media practices includes animated shorts, dance collaborations, projection design, and media installations. The Floating World, a performance she co-created with Malashock Dance, was awarded an Emmy in 2011. Her Mikumentary series of films have been screened in institutions ranging from pop culture to fine arts, including animation festivals in Britain, Hong Kong, and Mexico; she toured with Miku, the hologram herself, in North America, and at the Mori Art Museum in Tokyo. Knight’s most recent dance films are touring at festivals in Greece, Argentina, Helsinki, Portugal, and other international festivals. Current projects include Sound Planetarium, a multidisciplinary project to create an interactive, data-driven “instrument” for both artistic and scientific research. She is currently an Associate Professor of Critical Media Practices at the University of Colorado, Boulder. Interview to Tara Knight & Rebecca Salzer, talking about their creative experience. Filmed via long distance computer call: SKYPE.